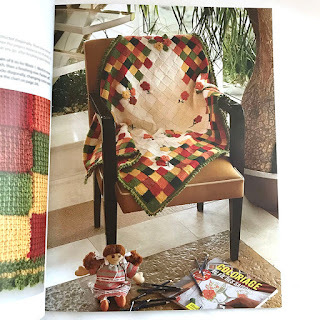 I'm Marie from Underground Crafter and I'm excited to kick off another year of seasonal pattern roundups by Crochet Guild of America member designers! If you're not yet a member, why not join us today? In spite of our name, international members are welcome, too. This month's roundup is all about Valentine's Day. With a few weeks to go, there is still plenty of time to crochet a handmade gift to celebrate. (Most of these patterns can be used during the rest of the year, too.) This roundup includes jewelry, gift bags and baskets, home decor, hats, a cowl, a shawland even something special for your favorite dog! All photos are copyright the designer or publisher and are used with permission. 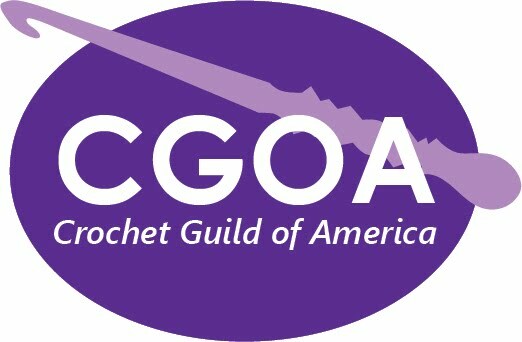 If you are a CGOA member designer and would like to be included in our roundups, please contact me via my blog (linked at the top). Be Mine Crochet Heart Pendants, free crochet pattern with video by Kristin Omdahl: These lightly stuffed hearts are attached to chain necklaces. Valentine Kisses Treat Bags, free crochet pattern by Blackstone Designs: This cute project includes ideas for small gifts to put inside. Window to My Heart Mason Jar Cover, free crochet pattern by Crochet Memories: If you love gifting jar mix gifts, this decorative mason jar cover would be the perfect addition. Heart Nesting Baskets, free crochet pattern by Blackstone Designs:These gift baskets can be stiffened with craft wire. Cross Stitch Love Beanie, free crochet pattern by The Purple Poncho: This pattern is available in 3 teen and adult sizes. You can choose the location for the heart since it is cross stitched on after the rest of the hat is finished. Celtic Heart Knot, free crochet pattern by Celtic Knot Crochet: This pattern is available for free to newsletter subscribers. Cross My Heart Treat Bag, free crochet pattern by Moogly: This adorable little pouch can be used for sweet treats, gift cards, and more. Heart Lapel Pin, premium crochet pattern by Knot Just Crocheted: This quick and easy project is great for wearing on Valentine's Day. Love Is In the Air Valentine's Cowl, free crochet pattern by Oombawka Design Crochet: Puff stitches and chains combine to create heart shapes on this cozy neckwarmer. Lacy Dog Collar, free crochet pattern by Celtic Knot Crochet: This decorative collar for a pooch is available in 3 sizes. Rosepuff Shawlette, premium crochet pattern by Vashti Braha: This pattern includes 2 sizes (for a shawlette and a shawl) and a linked video. Hearts Go Round Hat, free crochet pattern by Cre8tion Crochet: This tapestry crochet pattern is written for a toddler size but includes instructions for sizing up. 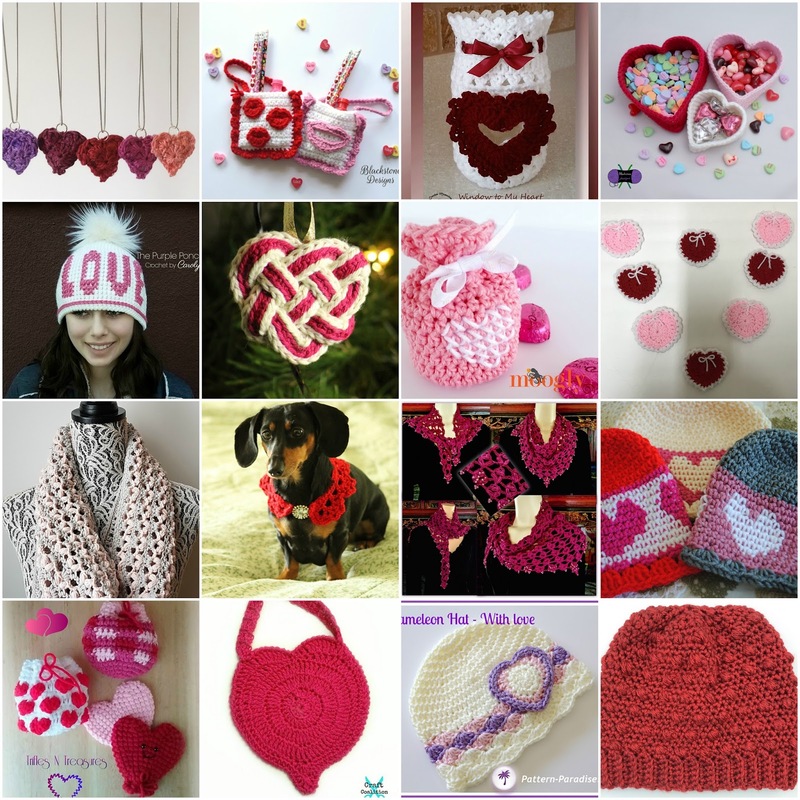 Valentine Goodie Bags, premium crochet pattern by Trifles N Treasures: This pattern includes 3 styles: Bursting Hearts, Plaid, and Conversation Heart. Perfect Love Heart Purse, free crochet pattern by American Crochet: This bag is a great gift for a child and links to a "dolly-sized" matching bag. Chameleon Hat, free crochet pattern by Pattern Paradise: This pattern is available in 6 sizes and includes the With Love version (pictured) and the Olympic Spirit version (not pictured) with star applique. Puff Stitch Slouch, free crochet pattern by Underground Crafter: This textured beanie pattern is available in 10 sizes. I hope you enjoyed this month's roundup. I'll be back in February for another roundup of crochet patterns by our members. If you love the look of knit fabric, but don't want to knit, Tunisian crochet may be for you! Great Tunisian Crochet Projects is full of lovely things to make with just a few simple stitches. 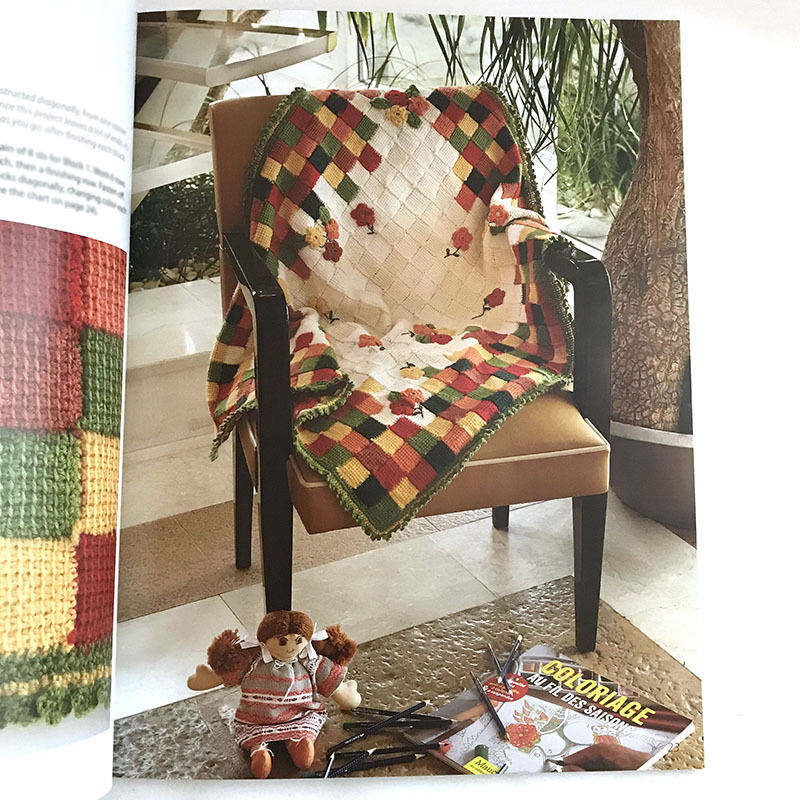 The beginning of the book takes you through some basic stitches in both crochet and Tunisian crochet. It's a clear, nicely illustrated section that also explains how to make and connect simple Tunisian blocks. 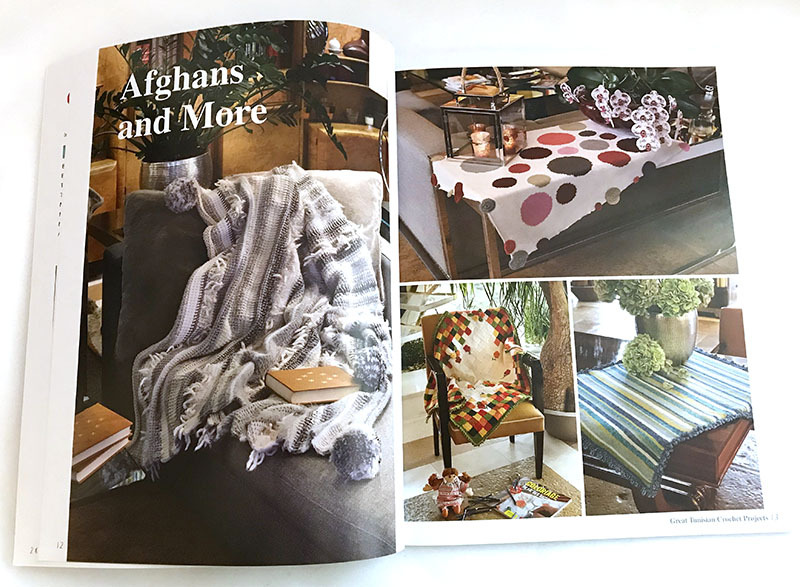 The very first section of patterns after the intro is mainly afghans. If this is your first time doing Tunisian, I would actually recommend starting with the smaller projects at the back of the book. The very last pattern is a super cute belt, that's a great way to get started! Some of the projects combine traditional and Tunisian crochet. My favorite of these is the Little Poppies afghan, with its colorful blocks, a pretty picot edge, and flower appliques. 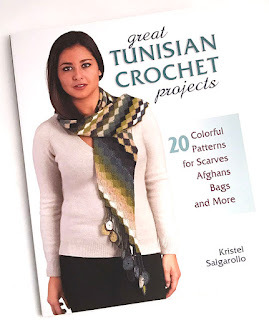 You can enter to win your own copy of Great Tunisian Crochet Projects! This prize is generously provided by the publisher, Stackpole Books. To be eligible, you must be 18 years of age or older, with a valid shipping address in the US or Canada, and phone number. The winner will be contacted by email, and must reply to that email and provide the shipping address and phone number within 1 week in order to receive the prize. If the winner does not reply within 1 week, a new winner will be selected. The giveaway ends on January 31st. Hurry and enter below! 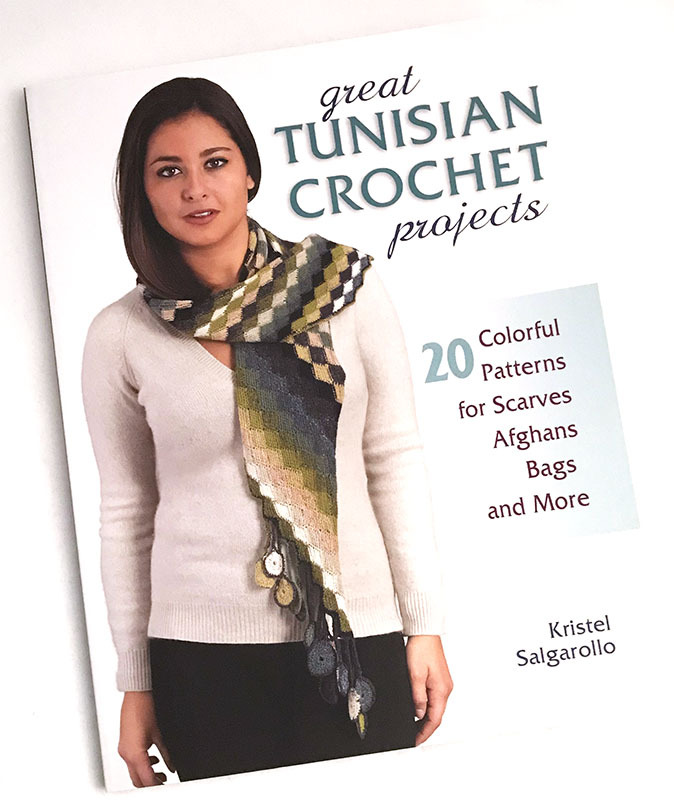 Disclaimer: A free review copy of Great Tunisian Crochet Projects was provided by Stackpole Books. Although I accept free products for review, I do not accept additional compensation, nor do I guarantee a positive review. My reviews are based entirely on my honest opinions. All images of copyrighted material are used with permission.